Tales Of A Nomad: The Susegad Beaches of Bardez, Goa...!! 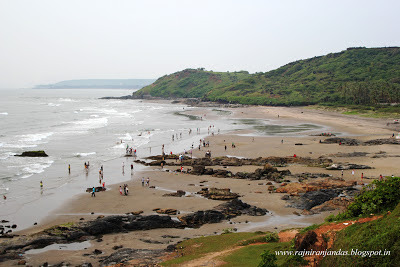 The Susegad Beaches of Bardez, Goa...!! 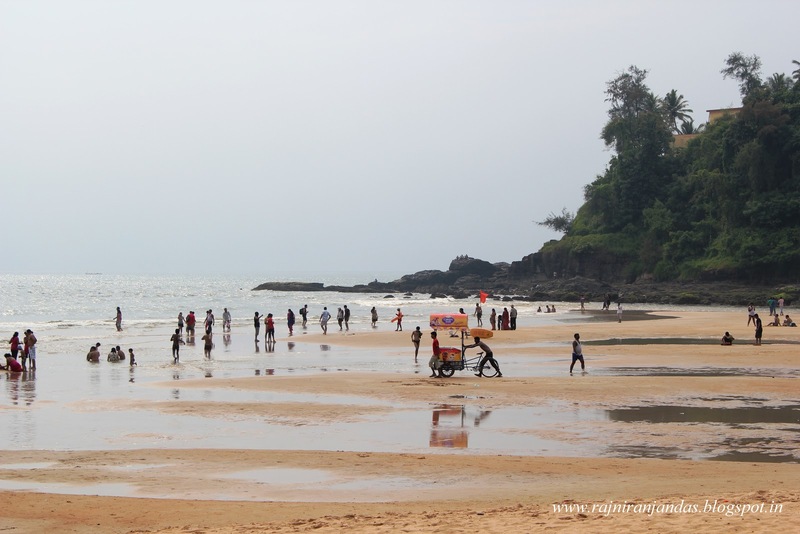 Goa is not all about beaches. This is what I have been preaching in my previous posts. But, can we ignore those magnificent beaches? Is there any traveller or tourist who has been to Goa, visited the churches, the wildlife, the rivers and gone back without visiting at least a single beach? I doubt. 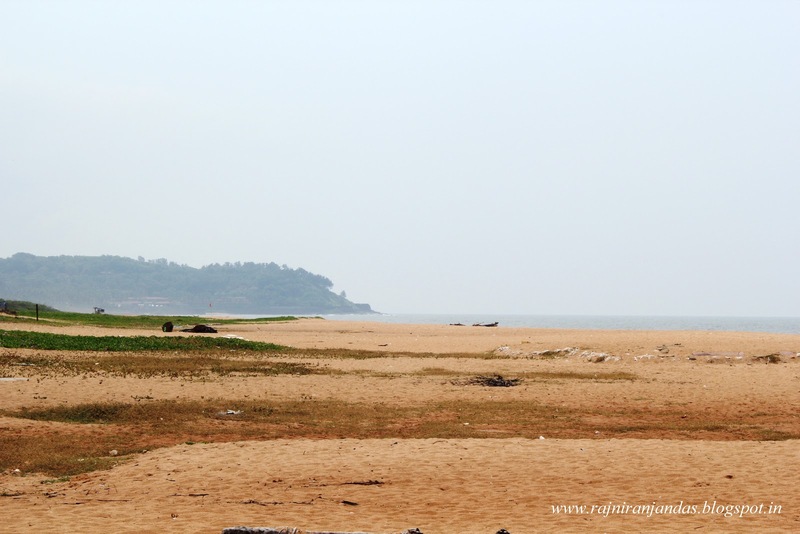 So here comes a list of beaches from my last visit to Bardez region (one of the sub-districts) of Goa. There are many beaches in Goa that spreads out below a cliff. 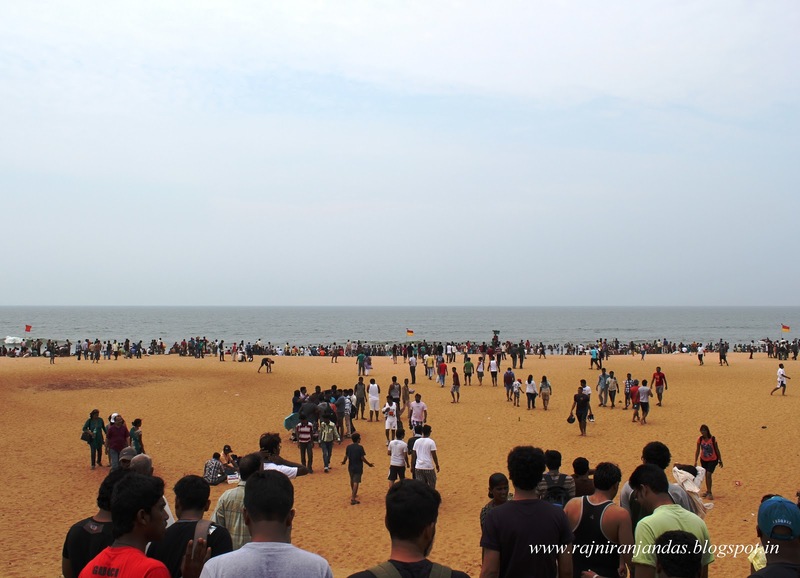 Vagator beach falls into this geographical category. 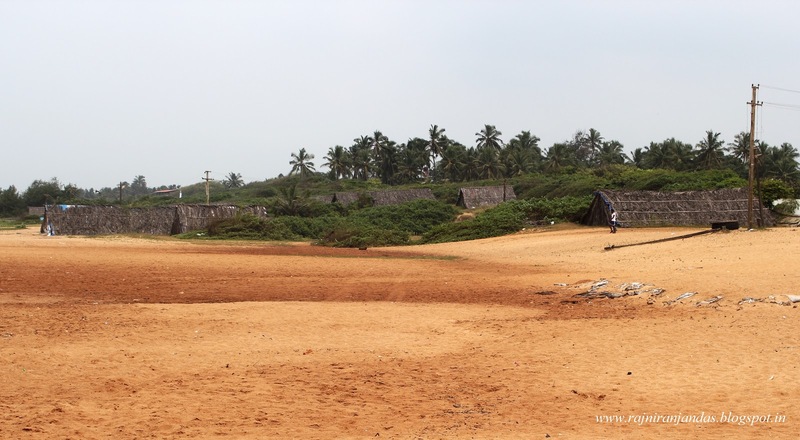 With sparsely spread out rocks jutting from the sands and tiny green hills surrounding it, the beach in Vagator showcases a gorgeous landscape. 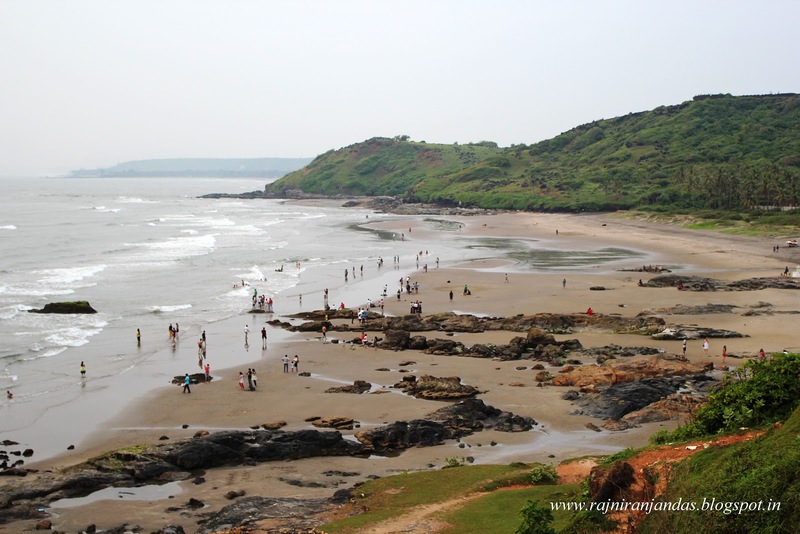 It also has close proximity to Chapora fort from where one can have an aerial view of the beach across the green canopy. 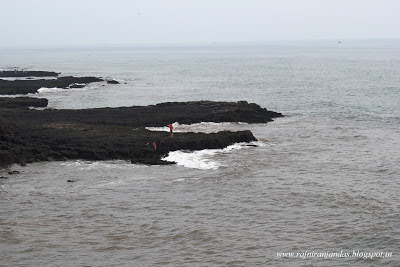 River Chapora disgorges itself into the Arabian sea next to Vagator beach. The beach is not over crowded most of the time and with few cafes and restaurants, the beach is well recommended. 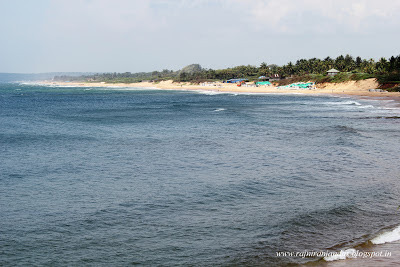 There ae three beaches here namely- north Vagator beach, Ozrant beach and middle Vgator beach. 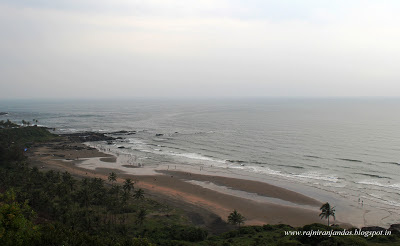 When on top of the cliff, the beach to your right is north Vagator beach and to your left is Ozrant beach. 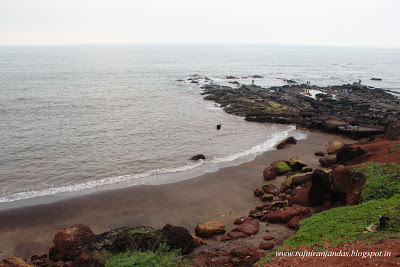 The beach at Anjuna has a rocky front and is also below a laterite cliff. The reddish cliff, brown rocks, azure waters and green trees form a beautiful frame. The slippery rocks are not quite inviting but the vistas from the top of the cliff are spectacular. 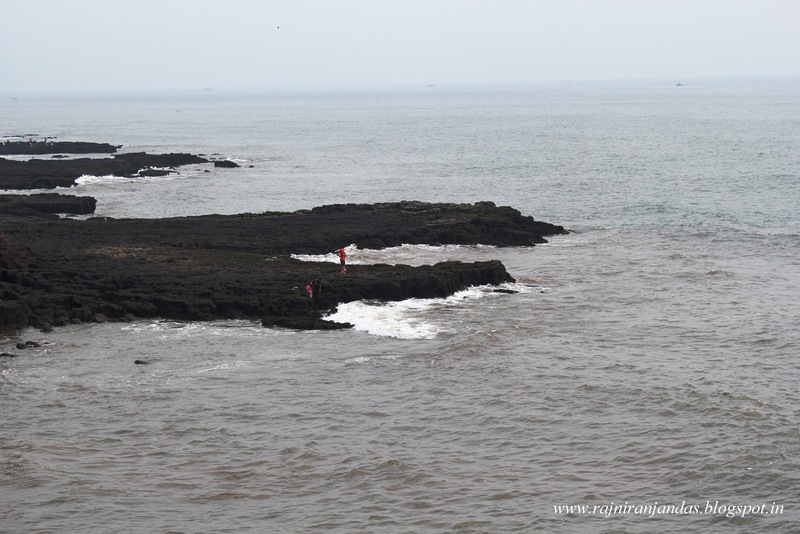 The waves thrashing on to those rocks is indeed a beautiful sight. Anjuna has been known for its flea markets for ages. 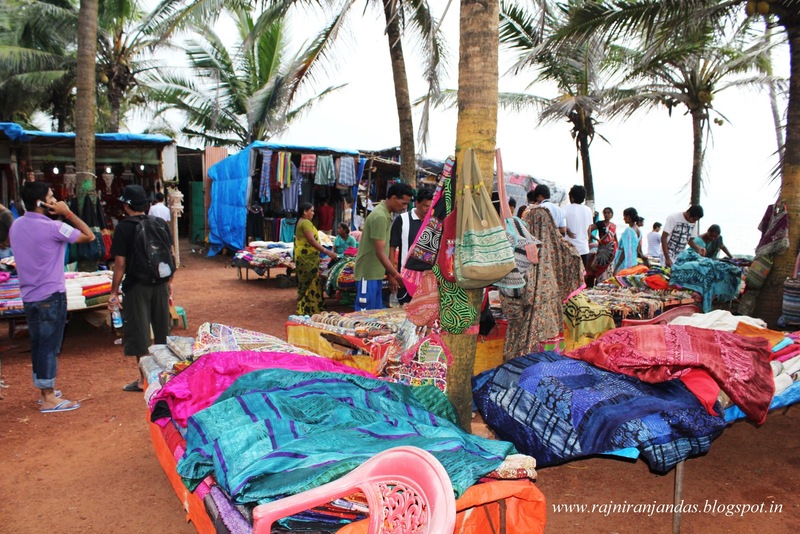 There is also a small colourful flea market on top of the cliff along with a lot of cafes and restaurants facing the beach front. Anjuna is also supposedly well known for its hippie culture. 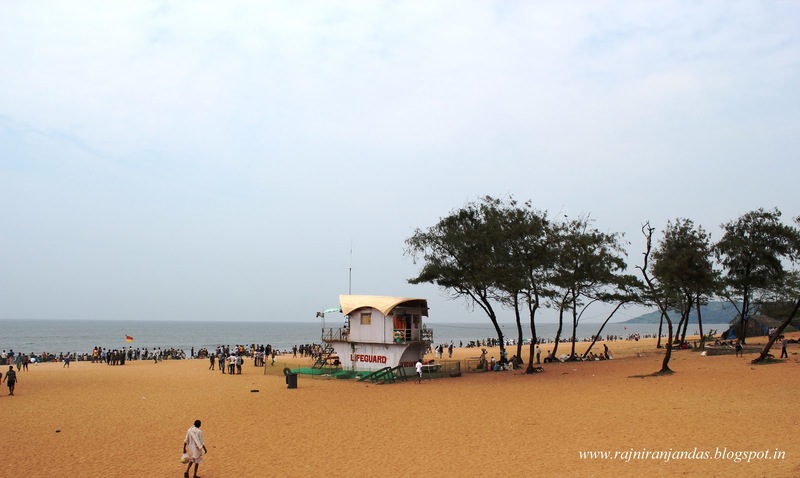 Apart from being one of the most prominent beaches in the whole of Goa, Baga beach is also a popular one with travellers and tourists. The golden sands of this long beach look beautiful when the sun blazes over them and with numerous cafes on the sidelines, the beach is definitely an inviting one. 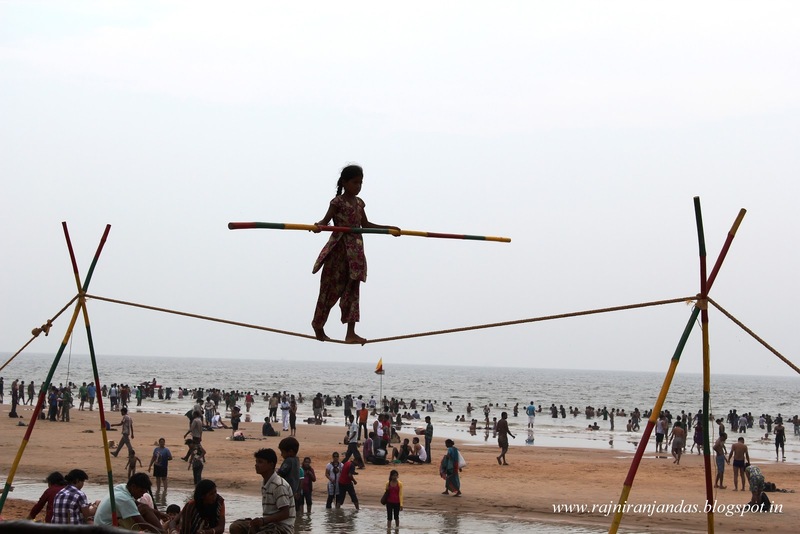 There is no shortage of action on Baga beach with vendors selling from anything to everything, acrobatic children, water sports and crowded shacks. As the sun sets, the ambiance turns into a party mode. If you find it tough to get a table inside one of those cafes, there are beach umbrellas and tables outside to make it a memorable evening. Gulp a beer right on the beach! 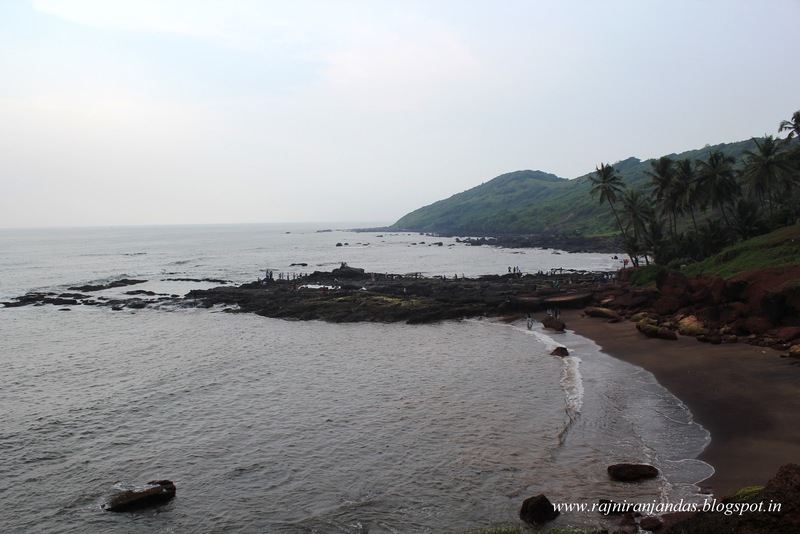 For trek lovers there is a narrow path across the Baga hill that takes you to the southern part of Anjuna beach. 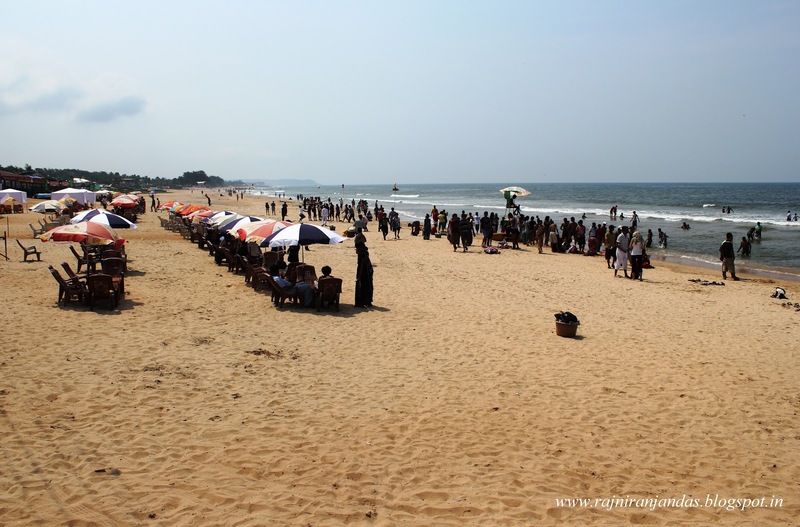 Calangute beach is definitely one of the most frequented beaches in Goa and people from across the country head here. You are sure to rub shoulders with a Kanyakumari fisherman, smile at a Ladhaki monk or even click a photo for a Mumbai dweller. 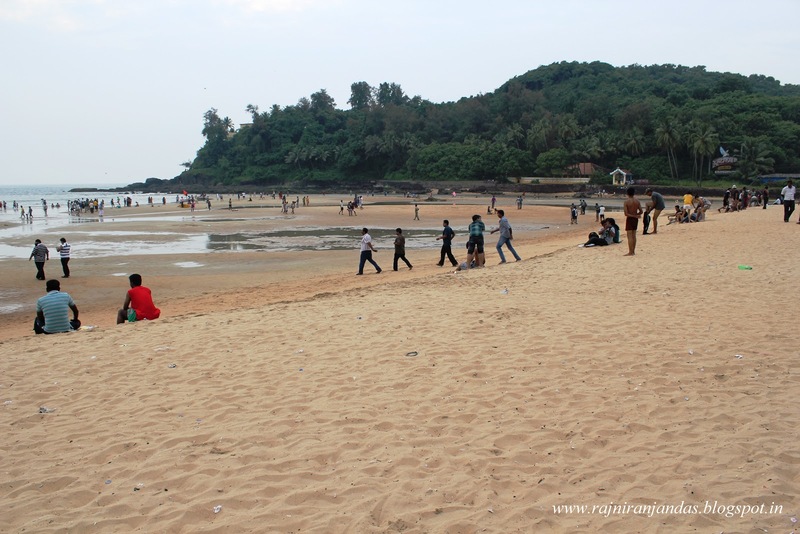 There is also no dearth for foreign travellers and locals on the most famous beach of Goa. 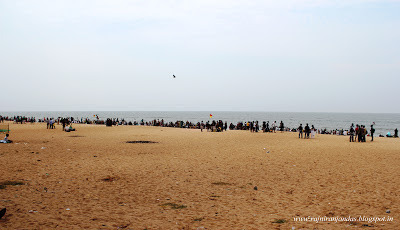 There are numerous water sports activities and beach shacks on the beach to keep the visitors busy. 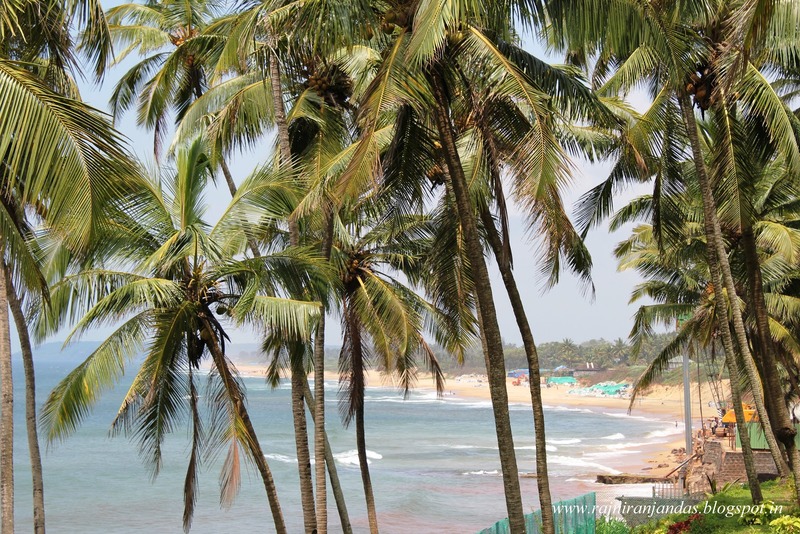 The road that leads to the beach from the Calangute- Baga road is filled with numerous eateries and shops. From where the road ends it is a nice little walk over the brown sands to reach the tides. It can get quite hot and humid during the day and the blazing sun is not going to help either. 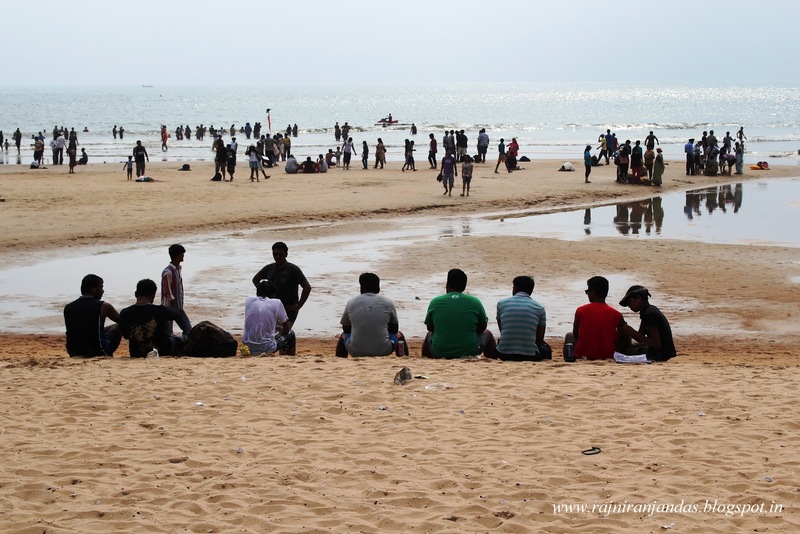 It is best advised to visit Calangute beach in the morning or evening. This is one of the quieter beaches of the region. The wide swathe of openness makes the beach look surreal. 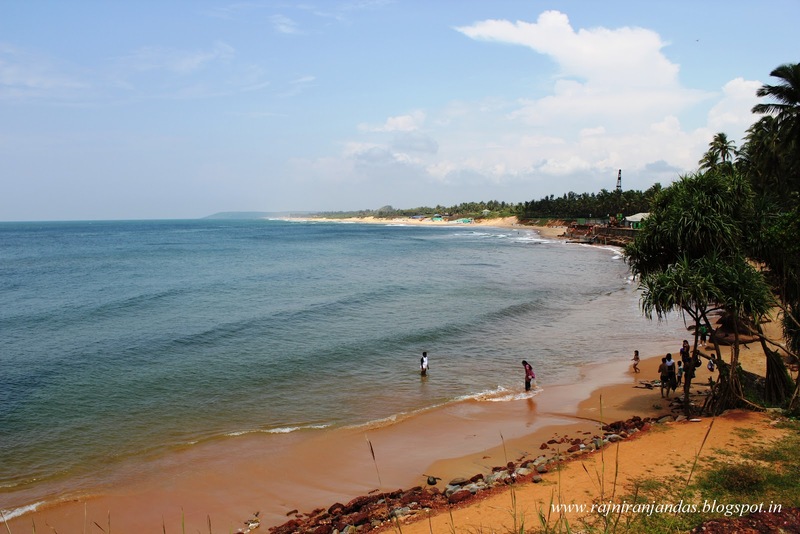 The beach which is to the south of Calangute beach is definitely recommended for visitors who love serenity. The blend of golden sands and blue waters is an enchanting sight. 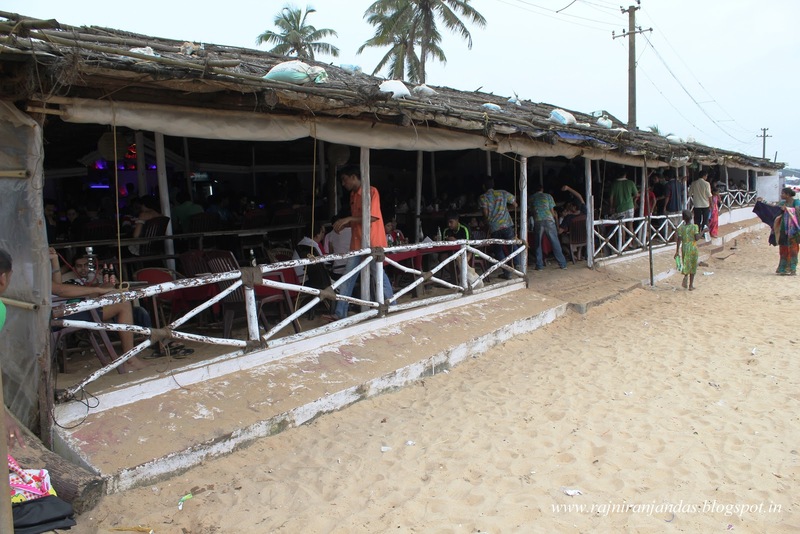 There are very few shacks and cafes on the beach and this is one reason for it to remain less crowded. Most of the shacks on the beach remain closed during off season. 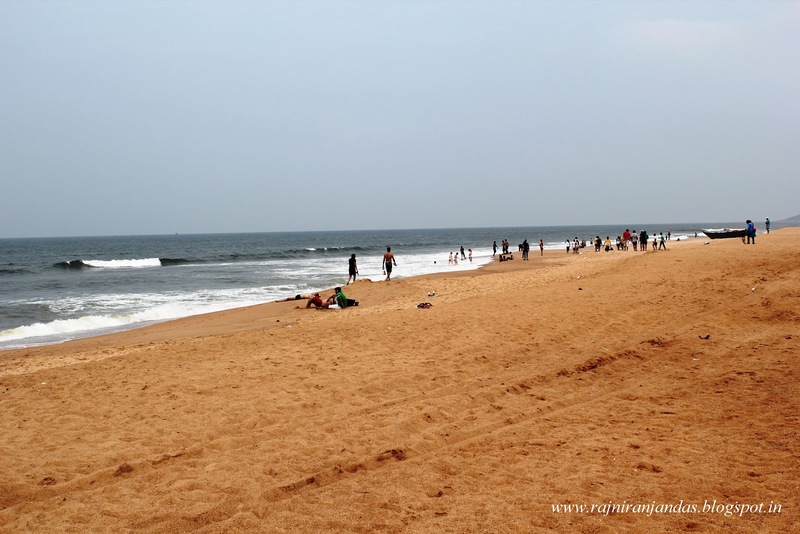 There are also a few less explored beaches in Bardez like Coco beach and Chapora beach that can be equally enchanting and encapsulating. Signing Note- These spectacular beaches truly emblazon Goa...!! Good. Where all did you cover? 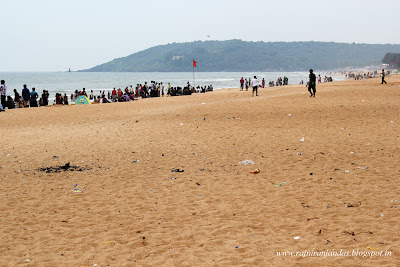 yes, Goa without beaches is not complete!!!! good list you provided here!! It looks like a beautiful place! Never been there. That's a solid post on the beaches of Goa. 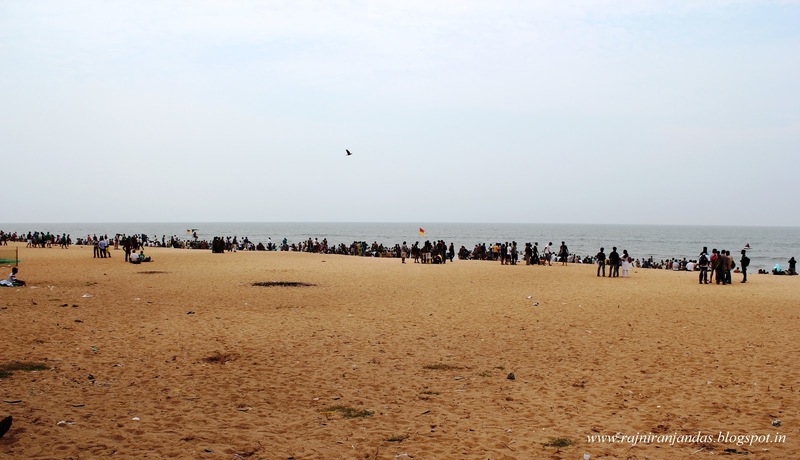 There's no separating Goa from the beaches. :) Great images too -- that bringing out the uniqueness of each of the beaches. 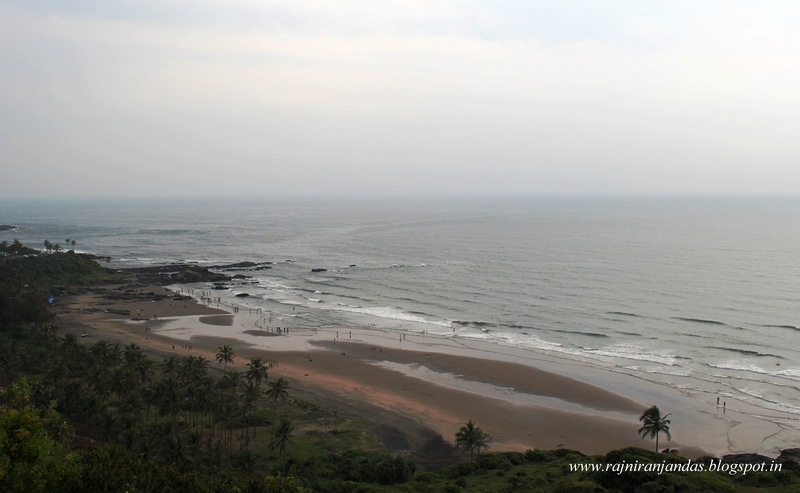 One thing I like about you, like me you also love Goa, beaches and waterfalls. I had been to Goa 3 times, hadn't seen any church, wildlife etc, but only beaches. You haven't mention about the beautiful Palolem Beach, last new year I was there only. Calangute and Palolem were so pretty decades back, but is crowded now. There are so many beaches on the coast, wonderfully pristine. Thanks to Goans who maintain harmony. Lovely pictures and write up. Thanks for sharing. Thank you. Absolutely second that. 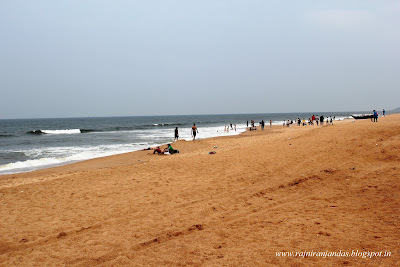 There are loads of wonderful beaches other than Baga- Calangute which people prefer. 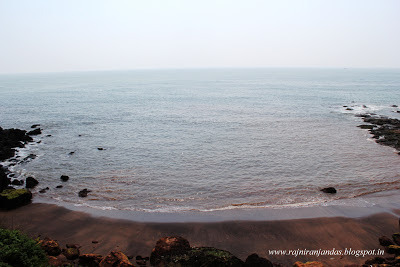 beautiful captures Niranjan and very well narrated but just to add there aer wonderful beaches in Canacone(south Goa) they are totally amazing and soul soothing. Thanks Padmini. 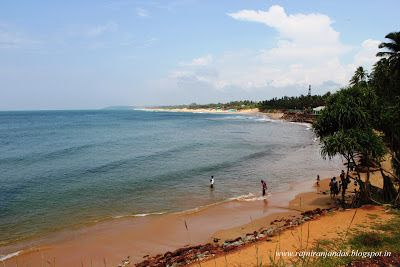 I havent included many such lovely beaches because this post concentrates on Bardez sub-district. Thank you. Nice to see you here. Keep visiting. Gorgeous photos! 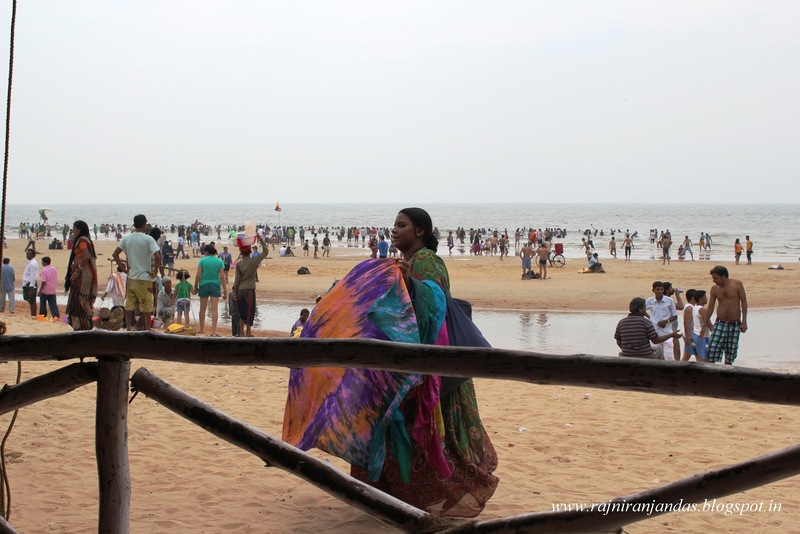 Calangute was my favourite in Goa. Have yoi been to Palolem ? That's quite nice as well. Thanks Ashwathy. 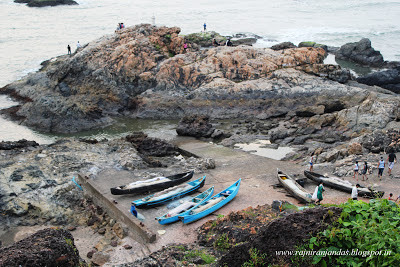 Yet to visit Palolem. Have heard it is gorgeous. Happy memories! wish I was there now. Yeah, definitely memorable. Nice to see you here. Thanks bro. A must visit place. Beautiful captures and wonderful write up. Never been there but your pictures are so tempting! Thanks a lot Arti. Head there soon. Beautiful beaches, I want to be there. 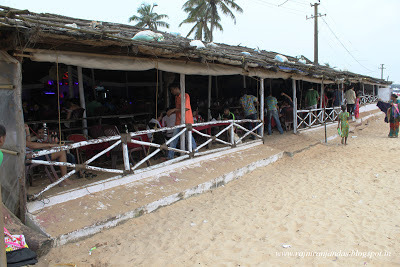 For us, the memory that stayed with us was walking towards the calangute beach and stopping by at the cafetarias and restaurants which are designed so interestingly, using local materials and with an aesthetic so Goan! :), This post is about the beaches of Bardez. I havent included beaches from other regions. That is why you find a lot of beaches from south Goa missing in this list. Shall definitely visit the beaches of Canacona when in Goa next time. :). Glad that you liked it. Kolkata- The City of Joy...! !